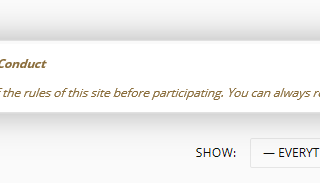 I have just joined the site and cannot close, click or do anything with the “Updated Code of Conduct” window. It simply won’t go away and is unresponsive either in the “X” or “HERE”. It’s the same issue in IE, Firefox and Chrome.